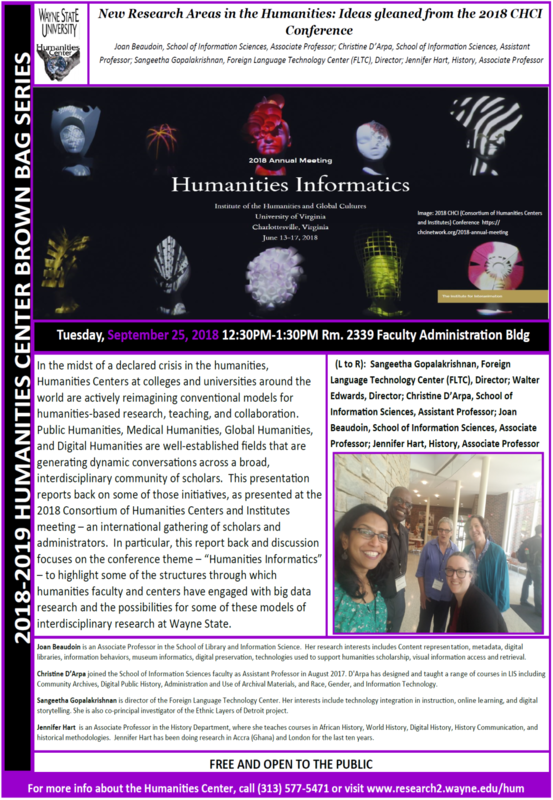 SIS faculty members Joan Beaudoin and Christine D'Arpa will be participating in the 2018-2019 Humanities Center Brown Bag Series. They will speak alongside other Wayne State faculty and report back on ideas and findings from the 2018 Consortium of Humanities Centers and Institutes meeting. The panel will start at 12:30 PM on September 25th and is open to the public.